Today, a successful performance has got a great deal to do with how visually appealing it is to the audience. Sound, light, stage, background… All these things are very important aspects of a good stage performance. Today’s youth is willing to spend a good amount of money on artists that have excellent stage presence. With the arrival of new technology and unique LED setups, artists have really leveled up their game. T-swift’s awe-inspiring performance featured the living room scene from the music video on the stage. The show included many scenes in which Swift was playing around with huge flames as well. The Swedish sensation Avicii, who is famous for his work in the EDM industry, wrote history at this show. When his DJ booth appeared on the stage, it made everyone go ‘WOW!’ in sync. The stage had a giant head, on top of which Avicii’s stood. The energy during the concert was high, with the audience going crazy about the music and the stage. 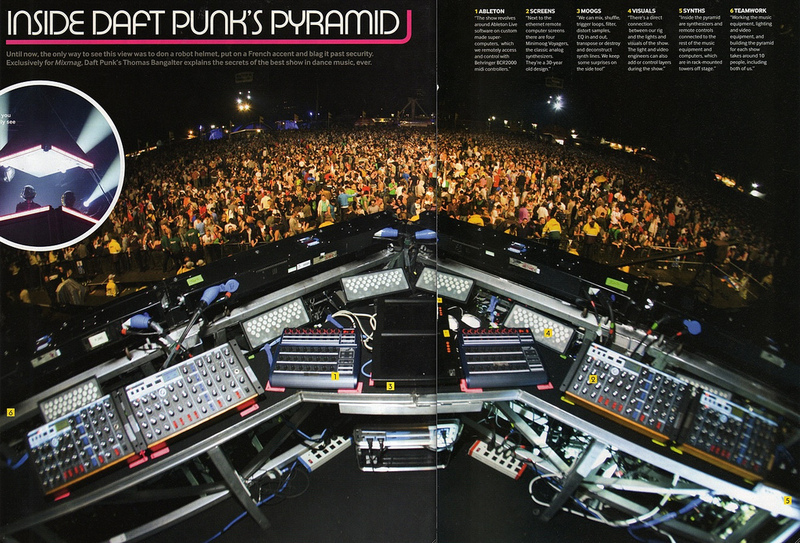 Daft Punk has been famous for their stage setups since they started performing live. They have always come up with unique stage ideas. Their concerts are a visual treat. During this particular concert, they used vibrant LED-displays that synced with their beats. Epic! They also made a pyramid stage booth – which looked amazing. Deadmau5 has become the face (or should we say the mouse) of modern mainstream dance music. For this particular show, he had his famous Cube and a LED helmet designed. It became one of the greatest EDM shows of all time. The 3D decor of the stage was stunning. Every person in the audience remembers that concert to this day! During this show, Infected Mushroom came up with the unique idea of 3D mapping. It gives you a live visual experience. The duo’s music takes you to a different level of consciousness. The visual treat included in their performances is of course a bonus for anyone who loves trance music! Skrillex took to the stage for his headlining set in a DJ booth that resembled a spaceship. It included crazy alien LED lights and energetic hype man visuals. His set contained various genres including house, dubstep, trap and electro. It was one of the loudest EDM concerts and you could definitely see people having a lot of fun! DJ Richie Hawtin, also known as Plastikman, went for a world tour in 2010 and 2014. During those tours, he used circular designs and a monolith model in the centre of the audience. A sure way to create an awestruck crowd all around him. The visuals that surrounded him were brilliant, and his holographic features very intricate and beautiful to look at. Undoubtedly, Queen B’s Grammy performance was the most anticipated one this year. This was because of two reasons. First, her recent album Lemonade was a collection of some brilliant musical work. Second, Beyoncé was pregnant with twins. She used Holographic imagery in her performance and also projected a giant screen. She performed two tracks from her album Lemonade. It was also an ode to motherhood. The gravity defying tricks used in this performance by Queen B were awe-inspiring. There you go! A few of the most formidable stages/performances of the last decade. Obviously, we couldn’t include all of them. Plus, there are quite a few amazing stages or setups to be found in earlier eras. Iron Maiden’s “World Slavery” Tour in the 80’s comes to mind, for example. 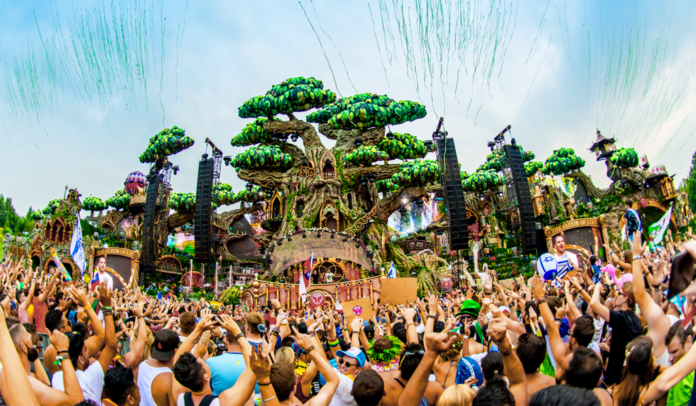 What is your favorite stage setup of all time? Let us know in the comments below!